Prominent adoption attorney Hicks, author of the well-received Adopting in America: How to Adopt Within One Year (2004), makes an uneven fiction debut, the first in a series to feature a young California adoption attorney. Toby Dillon's closest childhood friends, now prominent Hollywood celebrities, have turned to him for assistance when they're unable to have children. 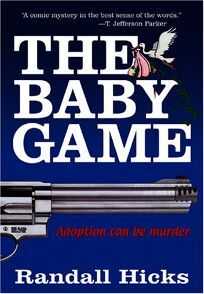 But the process turns messy when the birth mother disappears; the frantic search for her proves successful, and the couple is rewarded with a beautiful baby girl. The rollercoaster continues when a doctor reveals the mother actually gave birth to twins, leading to another frantic search. Two murders follow before Dillon stumbles on the truth. While the ending twist may surprise some, Hicks hasn't succeeded in effectively grafting his real-world experience onto a mystery plot.